How Long Does Pottery Take? Before getting involved in a new hobby, most people want to know how much time it takes. While some crafts take only a few hours, something more intensive like pottery can take days to complete. Figuring out how long it takes to create a piece of pottery from start to finish can actually become a complicated question. There are a lot of factors that will go into how long it takes to complete a piece but you can be sure that the results will be worth it. You don't want to fire a kiln only half full; it is a waste of energy and leads to uneven heating in the kiln. 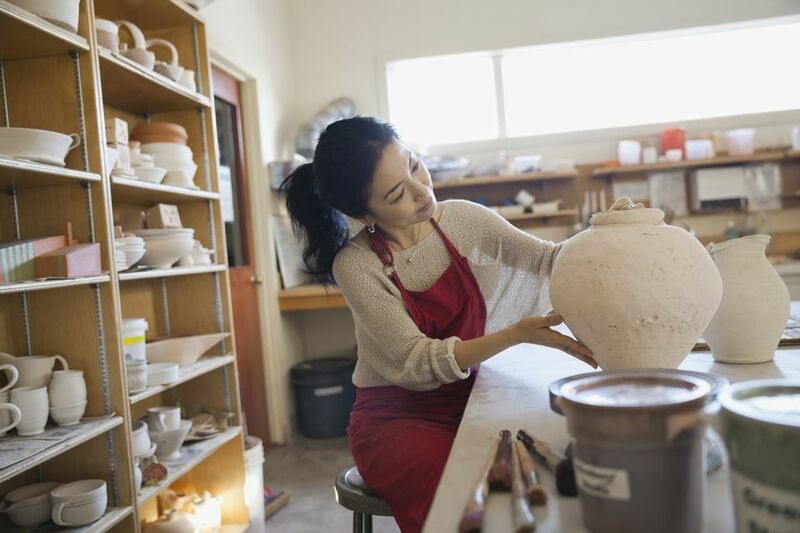 If you're using a studio's kiln, then your timetable will be based on their firing schedule. If you have your own kiln, then your timing will depend on how much studio time you're able to put in to create enough work to fill the kiln. Don't worry about the length of time it takes your pottery to make it into the kiln as the clay usually needs to be bone dry before it can be fired. Clay takes a long time to dry, especially if it's very humid out. When everything is going as quickly as possible in the studio, your pottery schedule will look something like this. As you can see, it can easily take three and a half weeks minimum for a lump of clay to go to finished pot. This is especially something to consider when doing holiday or special occasion pottery. One of the good things about this lengthy process is that you can have multiple projects going at once. It's easy to have one project drying while throwing another. On days when you're waiting for your kiln to heat, you could also be adding decoration to a new piece. You can glaze projects on the same day that you start wedging another. While some steps like firing the kiln, cannot be speeded up, the amount of time you spend throwing and shaping your projects is all up to you. If you are using a rented kiln, there's no need to feel like you must produce enough pottery to fill a kiln before you fire your projects. The benefit of renting a kiln is that you also don't have to deal with stacking and heating or the cool down process. This will allow you more time to actually sculpt your pottery.